My opinion as a dog bite expert differs markedly from decisions from appellate courts which have ruled that a dog bite attack from the police dog does not constitute lethal force. For example, appellate decisions which have examined the fact patterns surrounding police dog bite attacks on people have consistently ruled that a police dog does not have the capability or the potential to kill a person (see Robinette v. Barnes, 854 F.2d 909, 102 ALR Fed. 605 (6th Cir. 1988); Fikes v. Cleghorn, 47 F.3d 1011 (9th Cir. 1995); Matthews v. Jones, 35 F.3d 1046 (6th Cir. (Ky.). Moreover, these decisions support the widely held belief amongst police dog handlers that their canines do not constitute lethal force. 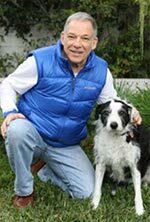 Nonetheless, is a dog bite expert I could not disagree more with these beliefs or the decisions of the appellate courts. Specifically, from my perspective in animal behavior, I believe that under the right circumstances a police K-9 easily can kill a person. For example, this can happen when a police dog engages a suspect and is not in the immediate presence of the handler (therefore diminish control by the handler over the dog). Under these circumstances, a police dog may repeatedly bite a suspect. And if any of these bites are inflicted to the head/neck area then a person could be easily killed. Although extremely rare, there are reported dog bite fatalities involving police canines. However, importantly note that I cannot verify all these incidences through research on the Internet. The first case happen in Florida when the lady was killed by a police dog found that an abandoned. Reference: Palm Beach Post, October 21, 1990 “The damaged life, an Unnecessary death” Also noted in “The manner death of Lauren MacLeod.” Office of the medical examiner, state of Florida, District 15, April 6, 1990. (Unverifiable through Internet research). Another incident happened to an infant in Florida when she was reportedly killed by the dog owned by her father. The father was a cop and the handler of this police dog, and the incident happened when he with the infant unsupervised in the presence of the dog. Reported in the Orlando Sentinel. “Police dog bites kills canine officer’s baby girl” (unverifiable through Internet research). Finally, a police dog bite fatality incident may have happened in California when an 89-year-old man was found sleeping under a bush by a dog searching for a suspect. He was severely attacked, outside the immediate presence of the handler, and he died about three weeks later in hospital. I served this in animal behavior expert in this matter. The incident is therefore verifiable. Read more about this incident here. 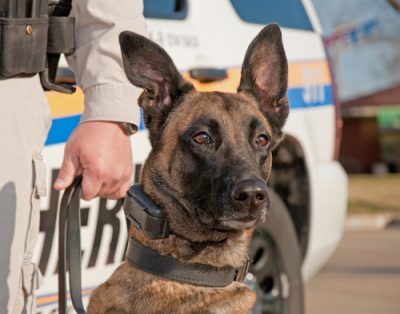 A fatality caused by a bite from police K-9 is less likely to happen when the dog’s handler is nearby, thereby putting the handler in a position to stop the attack (which often is difficult in itself). Moreover, in contrast to fatal dog attacks by domestic dogs inflicted on relatively defenseless people, such as the elderly or children, a disproportional amount of the victims of police dog attacks are young adult males. These people have greater ability to defend themselves against a highly aroused, attack trained police canine. And this decreases the chances of a dog bite fatality from happening. Hence, in large part because of who the victim is, police dog attacks rarely result in a fatality. A book summarizing fatal dog attacks in the United States. – Outdated but still relevant.